Ever since "#Hashtag" with Jimmy Fallon and Justin Timberlake (on "Late Night with Jimmy Fallon"), people have all gotten a little hashtag obsessed. Instead of being a simple way to add search terms to your posts, they've become a means of adding humor and of participating in fun hashtag parties with lots of other web users. 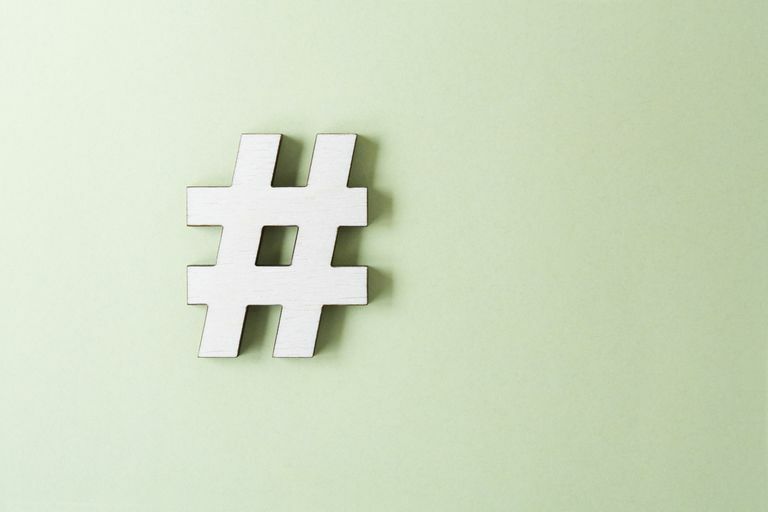 Here are 15 hashtag campaigns that made us laugh really hard, whether they were supposed to be funny or not. What happens if you change just one itty bitty letter in popular movie titles? Funny stuff, that's what! Comedian Patton Oswalt started a hilariously vulgar new hashtag trend called #CareerEndingTwitterTypos. Each rude typo changed the tweet's meaning so drastically and so heinously that it could cost someone a job if the boss saw it. In September, the hashtag #MySexLifeInMovieTitles went viral, inspiring a lot of people to get real about their mediocre rolls in the hay. "Toy Story 1, 2, and 3"
In a great Twitter hashtag trend that became like a game, users submitted their best ideas for the most inappropriate songs to be played at a funeral service. When celebrity chef Paula Deen found herself in hot water over making racist remarks, Twitter users began sending out satirical versions of her famous Southern recipes using her hashtag. "Back of the Bus Biscuits"
When the excellent #MyGirlfriendNotAllowedTo and #MyBoyfriendNotAllowedTo hashtags went viral, the tweets quickly turned sarcastic and satirical. At least, we hope these were meant to be satirical. "#MyGirlfriendNotAllowedTo breathe, when you breathe, your chest expands. Who you pushing your chest out for? Answer me." "#MyBoyfriendNotAllowedTo have candles on his birthday cake. What are you wishing for? All your dreams came true when you met me." Geeks need love too. So what if their pickup lines are a little dorky? Quick! Name two things that don't mix. How about enemas and sleeping pills? Internet whiz Jimmy Fallon started popular hashtag #HowIGotDumped on "The Tonight Show with Jimmy Fallon," and it took off from there. All of your favorite bands were made 100 percent more hilarious after canine references were added to them. When lots of bratty teenagers took to social media to complain about the gifts they received for Christmas, the internet decided to turn things around and punk their ungrateful butts. Using their hashtag, the good people of the internet showed up with ludicrously entitled posts complaining about getting the wrong color BMW, etc. Awesome burn! Parents are not always so good at using social media. Some parents aren't that great at ​texting either. You know how you've been singing along to a song, and suddenly you realize you've got the words all wrong? Now you can tweet your funny misheard lyrics, and Jimmy Fallon himself might even read it on his show. The notorious internet pranksters at 4chan targeted Miley Cyrus in this hashtag-fueled hoax. Using the #CureForMiley hashtag, users circulated a fake CNN article that alleged that the pop singer had contracted the AIDS virus.